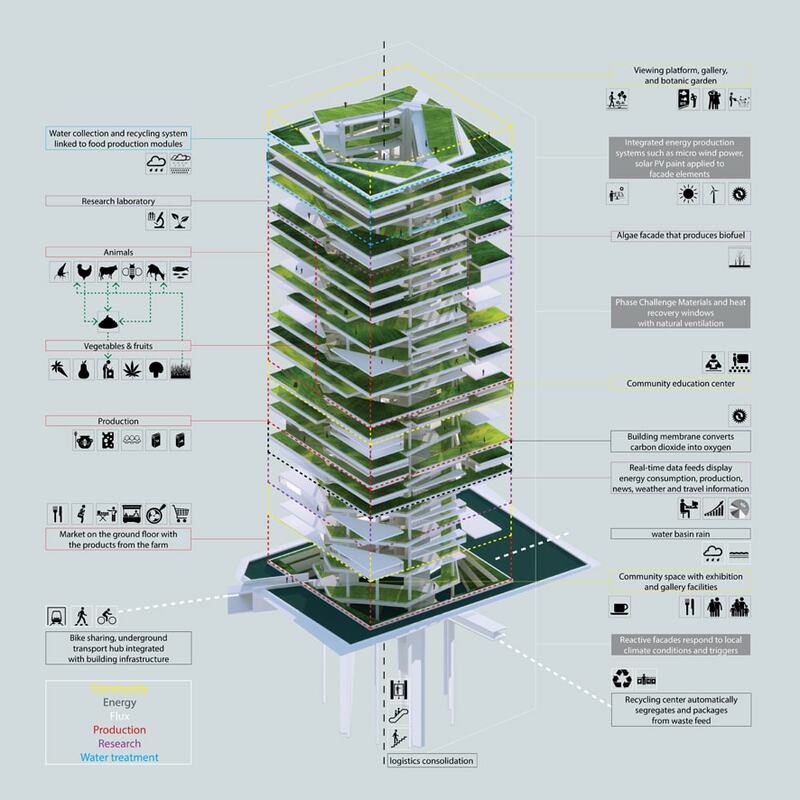 The Vertical Farm Project challenges to design a new Urban Vertical Farm and Botanical Gardens Skyscraper in Seoul City that takes into today’s ever-increasing urban growth, consumption in populated cities. 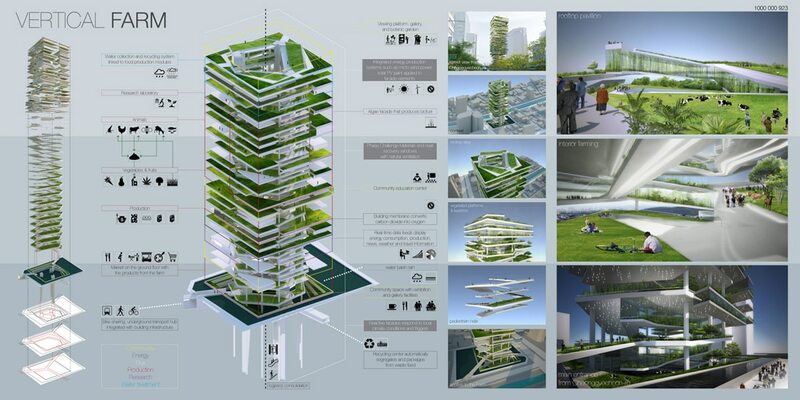 The design investigates the possibilities for urban Vertical farming communities and maximise the positive impact of Vertical Farming and is an acceptable addition to the Seoul City Skyline. The project also responds directly to the issue of space and population density in Seoul city and addresses the social, environmental, cultural and economic issues and concerns of the ever-increasing urban growth. Learn more about the Vertical Farm Project by following this link.